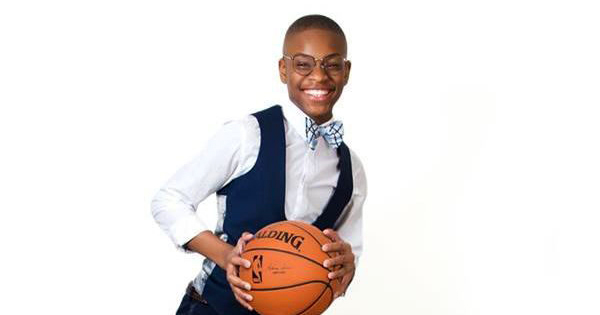 Young entrepreneur Moziah “Mo” Bridges was just 12 years old when he appeared on ABC's Shark Tank to promote his Memphis based company, Mo’s Bows, which manufactures handmade bow and neckties. Now 15, this young Black teen just signed a licensing deal with the NBA, giving him the rights to manufacture his products with the logos of NBA clubs. The NBA is excited about the launch of the Mo’s Bows NBA Collection because it increases their merchandise distribution to NBA fans. For Bridges, it means a seven-figure licensing deal and an important step in expanding his business. Mo comments, “Partnerships like this one will help me reach my goals of having a full clothing line by the time I graduate from college." When Bridges and his mother appeared on Shark Tank in 2014, shark Daymond John immediately invested into Mo’s business. John saw in Bridges "a young man with a great vision and a mother with a strong business sense." His instincts were right. Sales of Mo’s Bows at retailers like Neiman Marcus and Bloomingdales went through the roof. Bridges was named to TIME Magazine’s Most Influential Teen List in 2015. He was even invited to the White House by former President Barack Obama, and ESPN hired Bridges as a fashion correspondent for their NBA Draft telecast. This was quite an impressive start for Moziah Bridges. But he is far from done. In fact, he is just getting started! “My goal has always been to make Mo’s Bows a household name for kid entrepreneurship and men's accessories,” explains Bridges. Mo Bridges has come a long way, but it is very clear that he also has plans to go much, much farther. And he is not wasting time! He is already producing and selling his NBA bowties for the Memphis Grizzlies, the Cleveland Cavaliers, and the Golden State Warriors.